This book does bust some stereotypes. 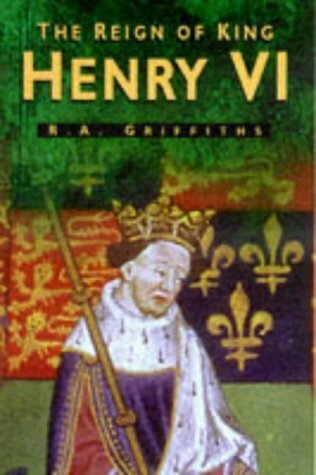 For example, if memory serves, Griffiths writes that the Henry VI was not as pious as the propaganda and many modern historians depict. He was more interested in academia. He also wasn't always cowering in the corner afraid to act. The book is the only *book* I've read that, in my opinion, gives _some_ decent insight into the anarchy and "issues with justice" in the 1440s and 1450s. After reading it, I could better visualize what historians meant when they describe the lawlessness of this period. (Think: retainers and household members getting into impromptu battles (skirmishes) over boundary disputes between their lords, archers lounging in the back of court rooms for property dispute cases like gangsters might today to intimidate witnesses, violence/intimidation of another lord's tenants, etc.) Most of the worst violence, "lawlessness," and justice issues centered around property disputes and attempts to grab land from other lords. I've given it four stars simply because of the caliber of research. However, it can really drag in places. Sign into Goodreads to see if any of your friends have read The Reign of King Henry VI.